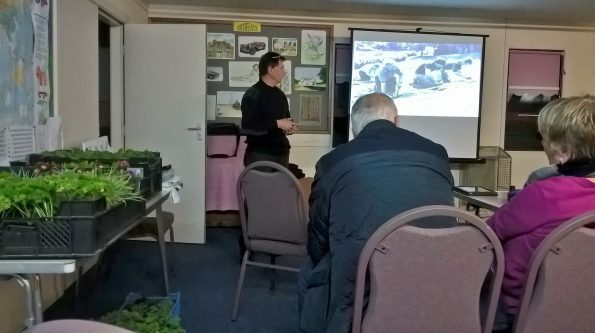 We had a thoroughly enjoyable evening with Roger who has spent a lot of his working like working for Scarborough Borough Council in the Parks and Gardens Section. 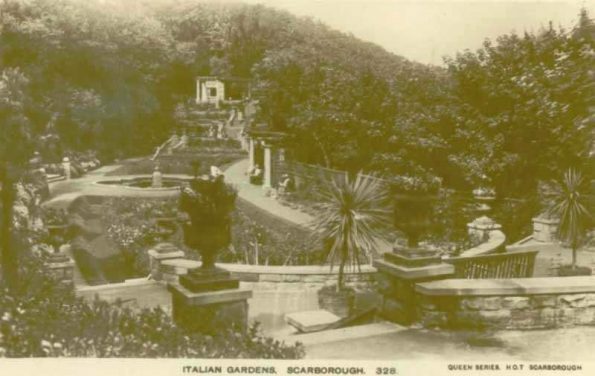 His love and passion for the history of Scarborough really showed through and it was easy to see why after looking at all the old photographs/slides he bought in. Hopefully he will be putting all the information he has found so far into a book for us all to enjoy. Well done Roger and keep up the good work. 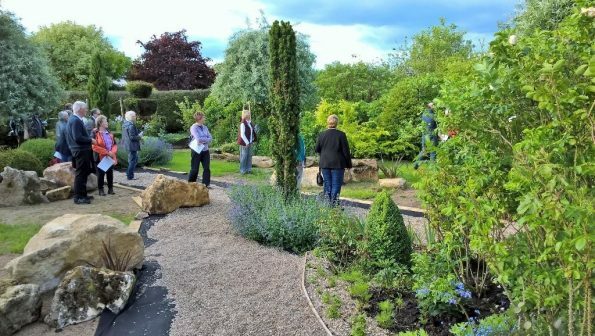 Last night our guest speaker Peter Williams really opened our eyes about Natural, Unnatural and Fashionable Gardening. An extremely informative and entertaining presentation. 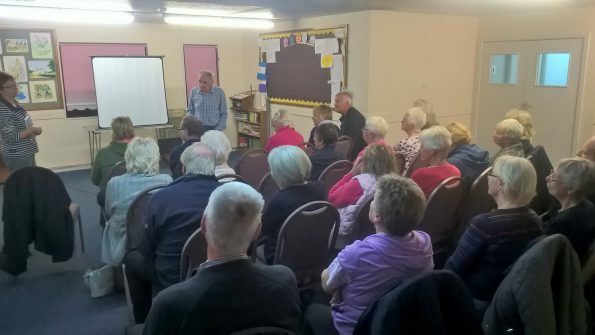 We had a great turnout of 29 members and 1 regular guest, well done…..and thank you again to Peter, very enjoyable! We also had a few plants for sale and some cooking apples. We didn’t have any refreshments this week. I don’t think people are used to these dark nights we’re getting now and wanted to go home and curl up in front of the fire. 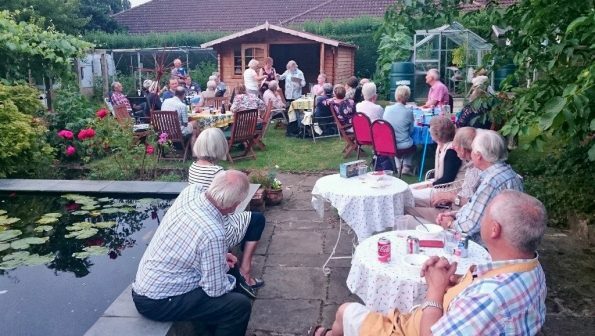 A wonderful time was had by all thanks to our hosts Margaret and Steve Shaw. 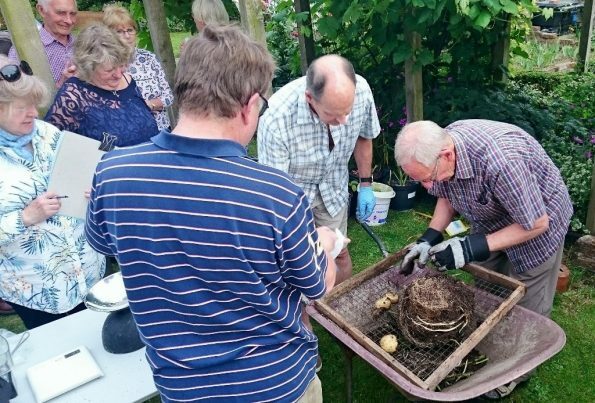 We had the results of the potato competition and the Garden Quiz which had a few of us scratching our heads for months.